Alpha Fuel 720 Review - (Learn the truth) Does It Really Work? Should you buy Alpha Fuel 720? Alpha Fuel 720 is a legal steroid marketed as a testosterone booster. The manufacturer behind this supplement has emphasized on this supplement’s ability to boost testosterone hormone. The company also claims this supplement uses natural ingredients. The product is manufactured by a company called Power Growth and Alpha Fuel Co.
Our major concern is whether or not this supplement works as advertised. 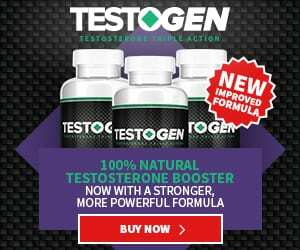 Tribulus, Horny Goat Weed, and Fenugreek are powerful natural testosterone boosters. Tribulus, in particular, has undergone multiple clinical studies for its said benefits. These ingredients also improve overall sexual health and provide a range of wellness benefits. Horny Goat Weed and Fenugreek extract help to increase blood circulation throughout the body. Amino Acids and vitamins act as building blocks for healthy muscles and tissues. This leads to a quicker recovery after workouts. Green Tea is a modern ingredient in the supplement industry. It acts as an antioxidant, and it strengthens the metabolic functioning of the body. This supplement is quite expensive with a month’s supply costing $94.60. If you order in bulk, a three month supply will only cost you $139.99. Each bottle of this supplement contains 60 capsules, which is meant to last for a month. The recommended dose is 2 capsules every day before working out for best results. However, it’s best to start with 1 capsule per day in the beginning. The company offers a money-back guarantee with the supplement. The product is entirely vegan. You won’t have to compromise your lifestyle to get bulked up. The product looks like a decent supplement with plenty of benefits. Looking at the ingredients, we feel the manufacturer’s claims might have actual weight to them. But the price is still going to be a factor for most. We suggest that you make the most out of the trial period before you make your full purchase. If you feel satisfied and you can see yourself using this supplement in the long run, purchase three months’ supply. You will be saving a lot of money.